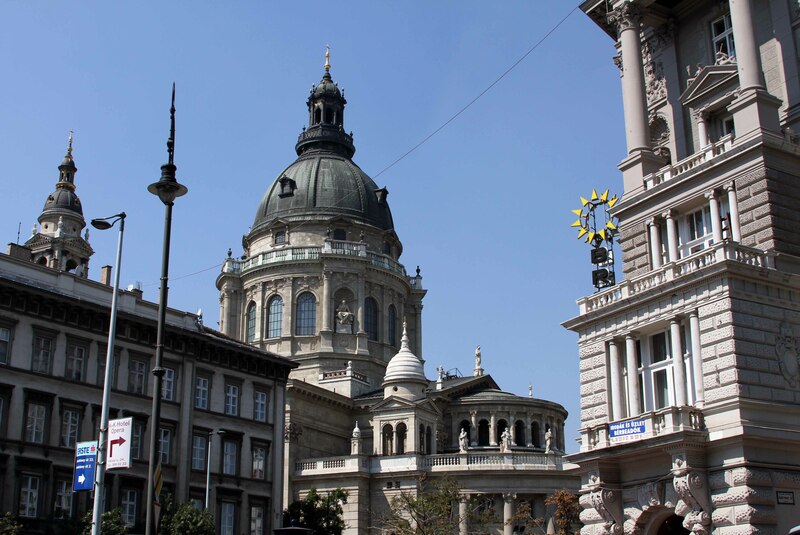 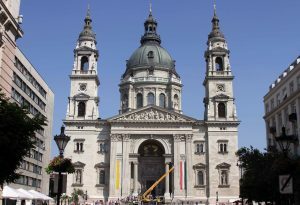 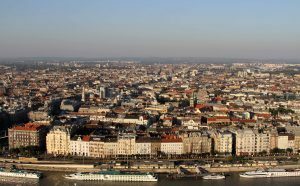 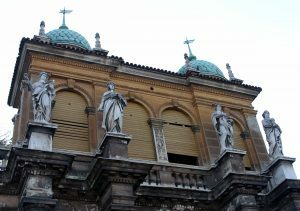 I visited Budapest from 23-24 August in 2010 and what follows are some of the photographs I took while I was there. 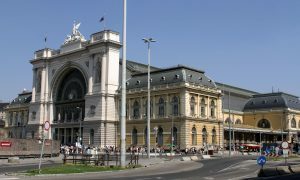 Budapest-Keleti Railway Terminal; built in 1884, this is the main international and inter-city railway terminal in Budapest. 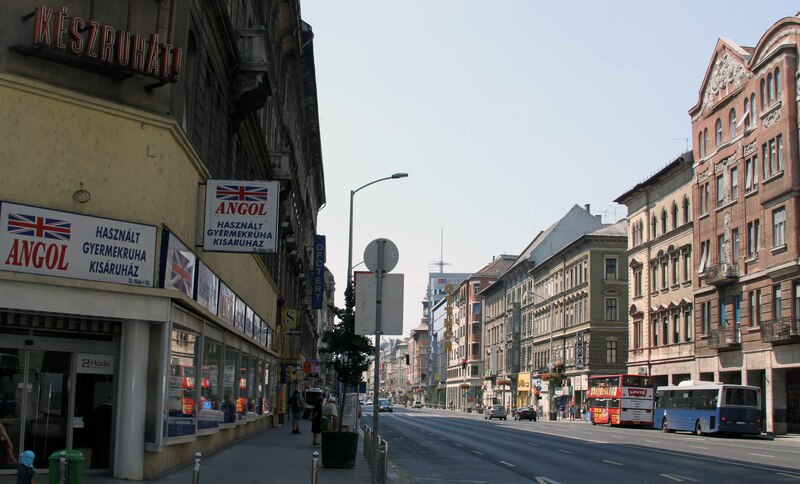 The “Angol” restaurant on Rákóczi street. 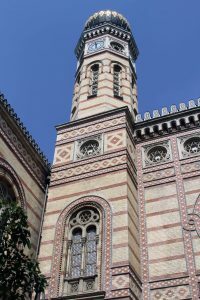 One of the towers on the Dohány Street Synagogue (also known as the “Great Synagogue”), which was built in 1859 AD and is the largest synagogue in Europe. 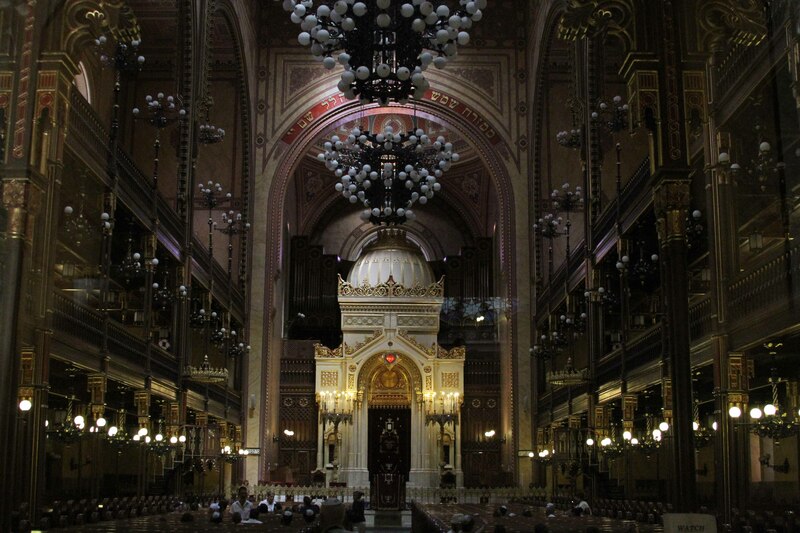 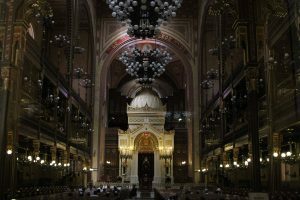 The interior of the Dohány Street Synagogue. St. Stephen’s Basilica, seen from the corner of Bajcsy-Zsilinszky and Andrássy streets. 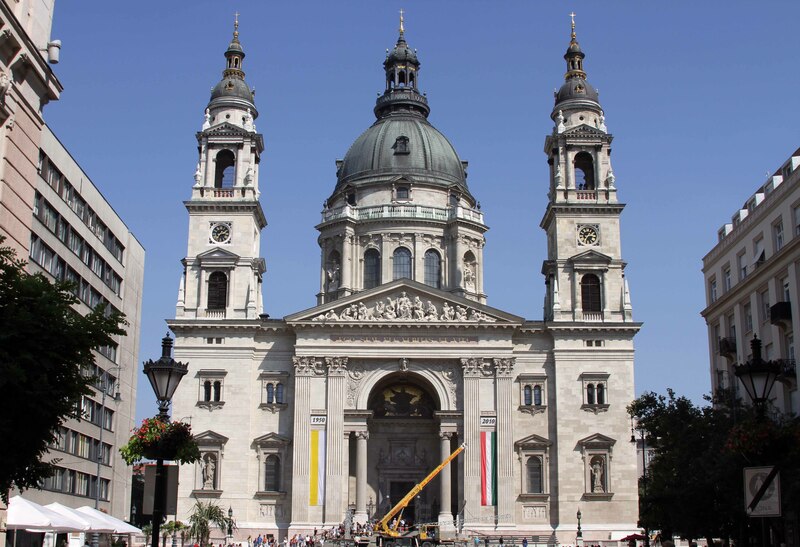 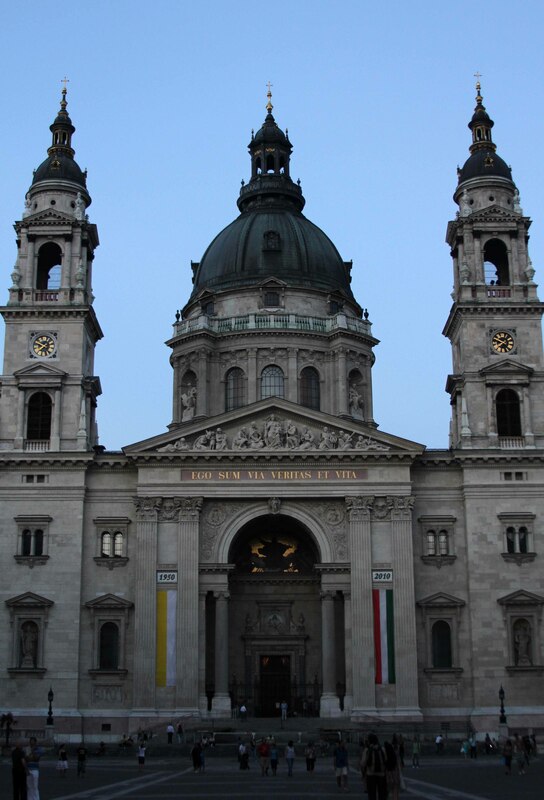 The façade of St. Stephen’s Basilica; built in 1905 AD, it is named after Saint Stephen I of Hungary. 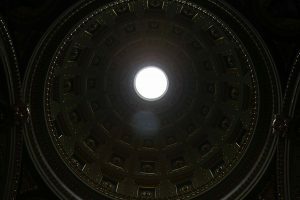 Looking up at one of the minor domes inside St. Stephen’s Basilica. 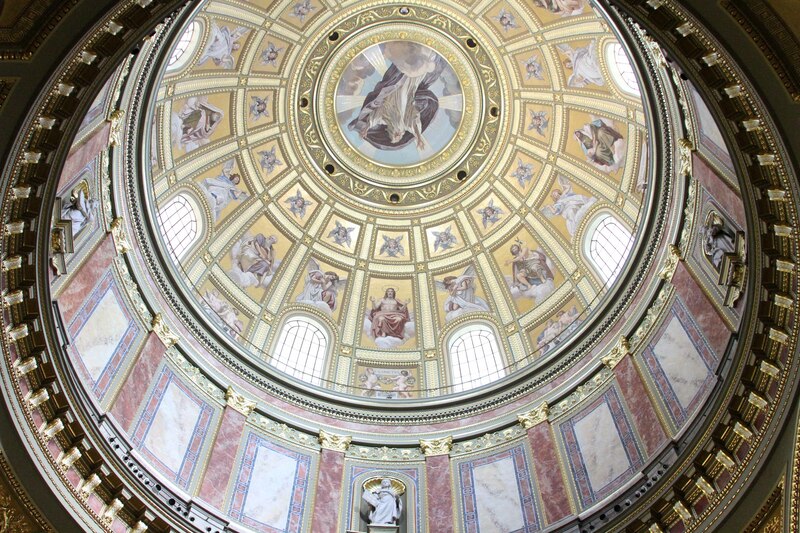 The interior of the main dome inside St. Stephen’s Basilica. 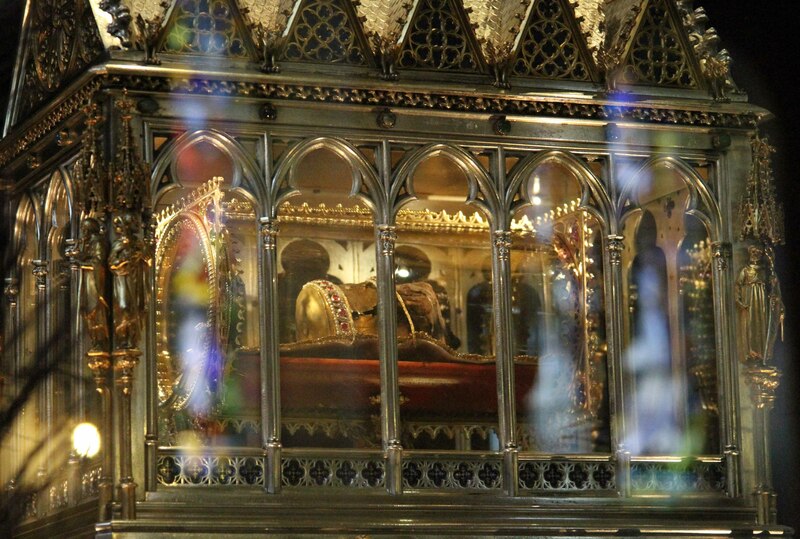 The “incorruptible” right hand of Saint Stephen I of Hungary, the first King of Hungary (975–1038 AD), which is kept in the reliquary of St. Stephen’s Basilica. 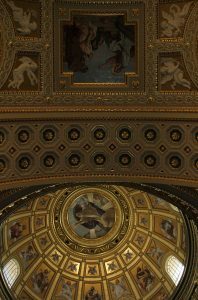 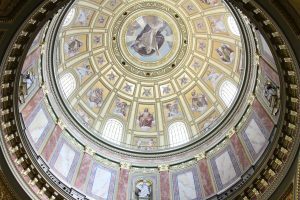 The highly decorated ceiling and dome inside St. Stephen’s Basilica. 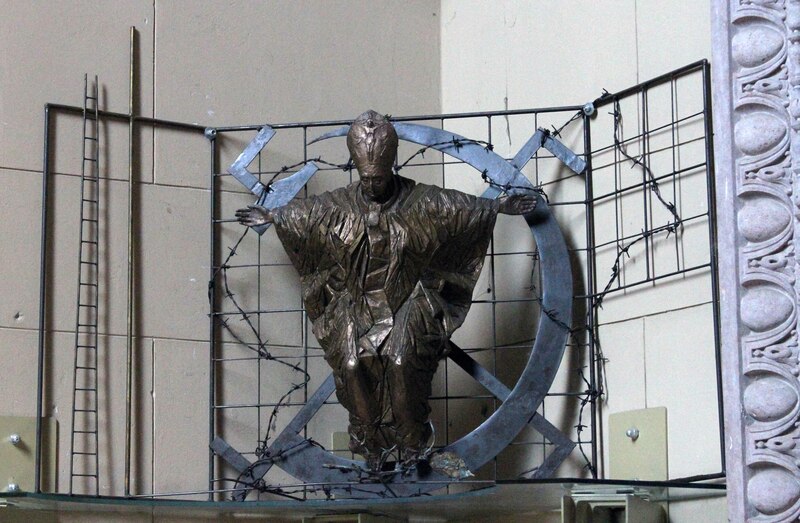 Statue found inside St. Stephen’s Basilica that I believe depicts Pope John Paul II attempting to overcome the oppressive rule of the Soviet Union. 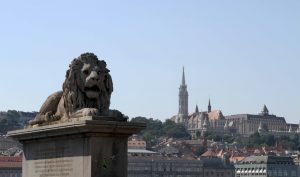 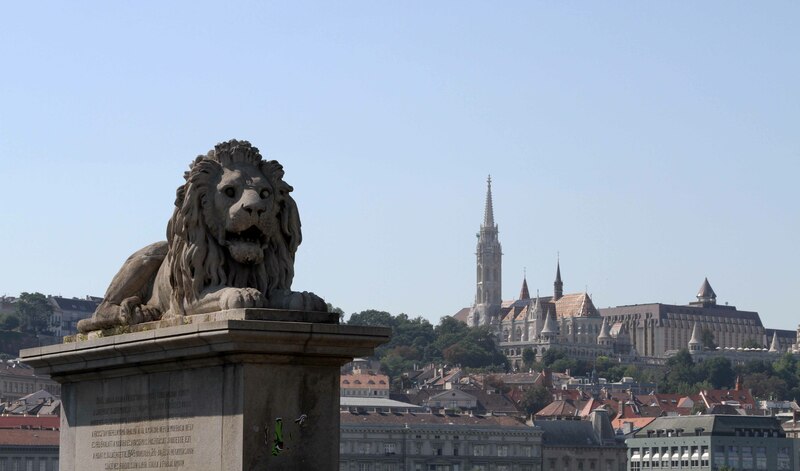 One of the guardian lion statues at the Chain Bridge, with Matthias Church in the distance, on Castle Hill. 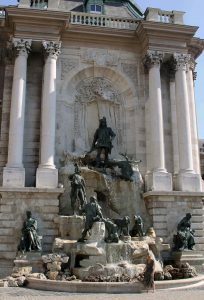 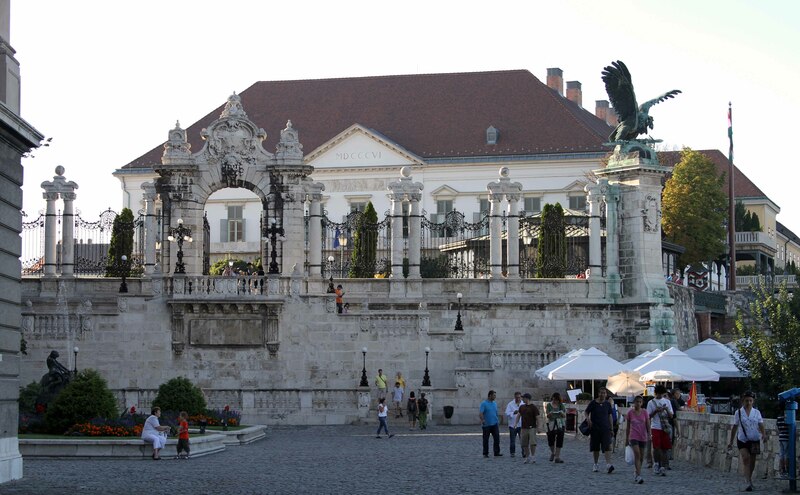 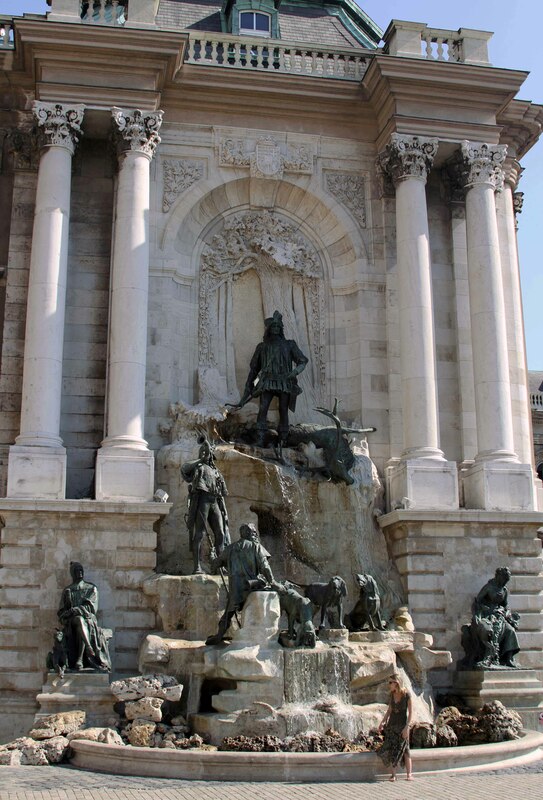 Matthias Fountain in the western forecourt of the Royal Palace (also known as the “Buda Castle”). 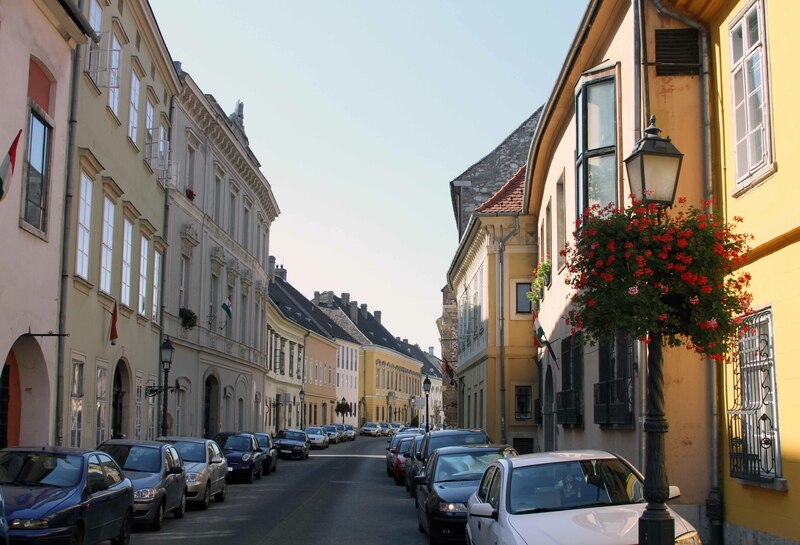 Street in the Buda Castle District. 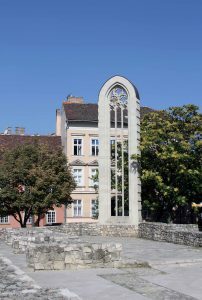 Ruins of the Church of Mary Magdalene, left here as a memento of the unpardonable cultural destruction of communist times. 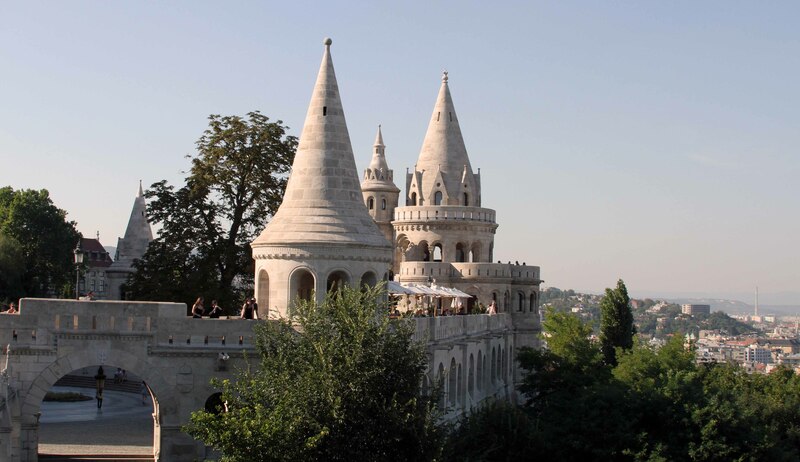 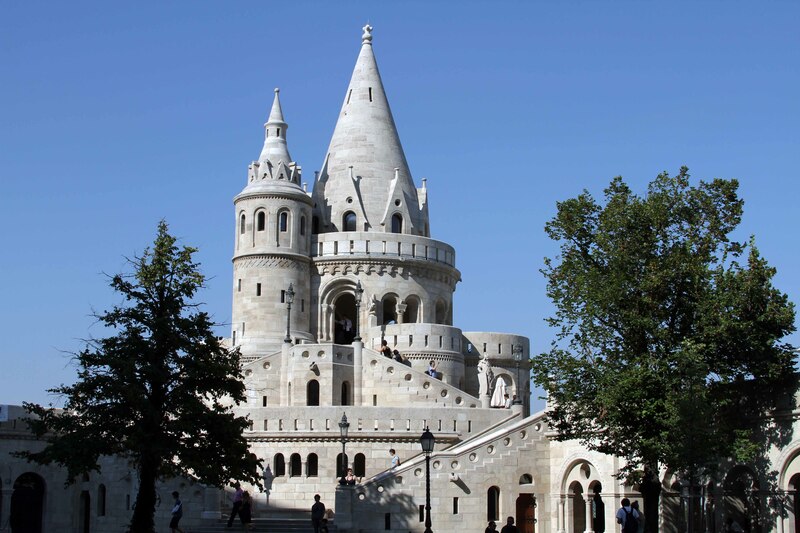 Fisherman’s Bastion; built in 1902 AD, it is named after the guild of fisherman responsible for defending this section of the city wall during the Middle Ages. 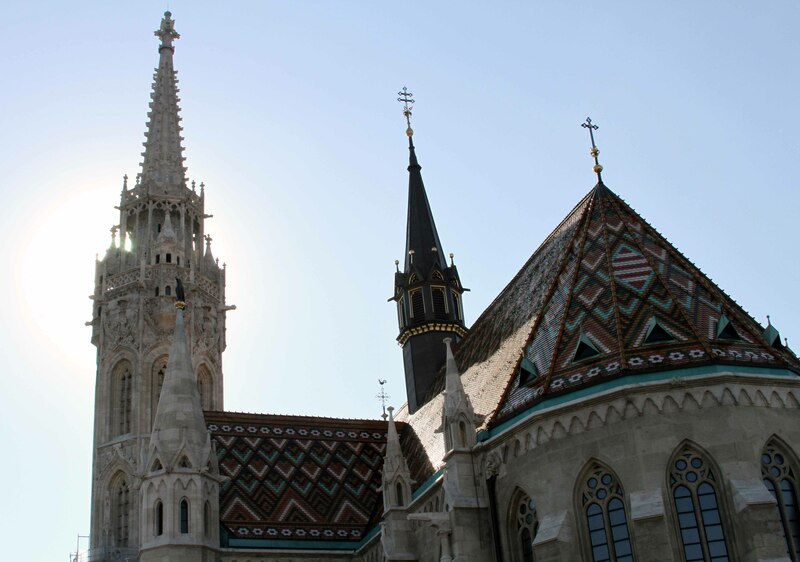 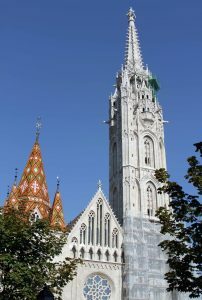 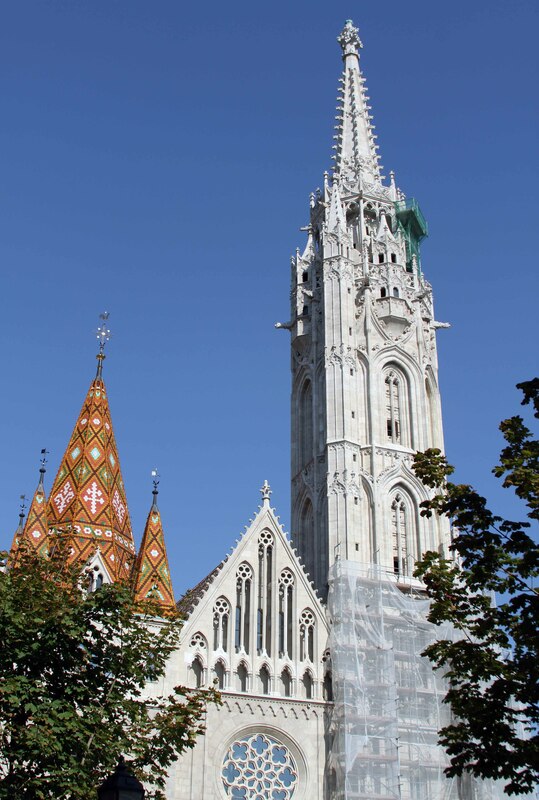 Matthias Church, founded in the 11th-century AD, the current building dates back to the 14th-century AD. 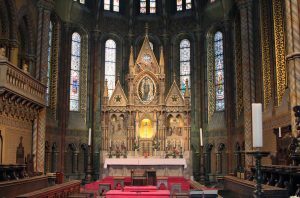 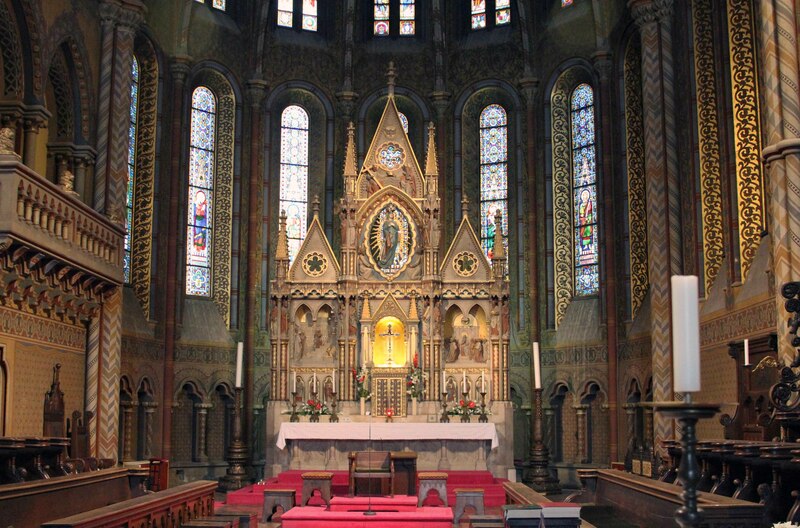 The altar inside Matthias Church. The roof and bell tower of Matthias Church. 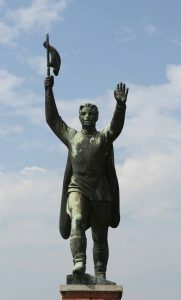 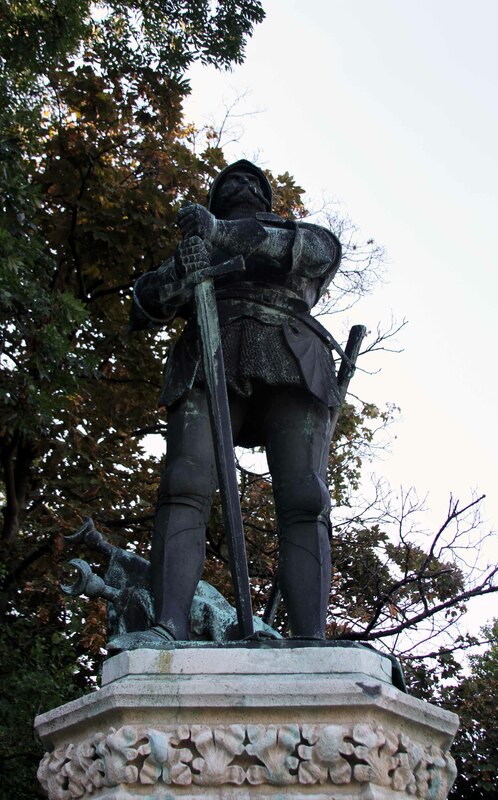 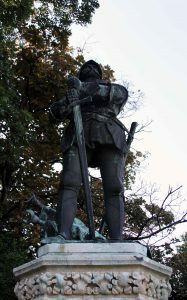 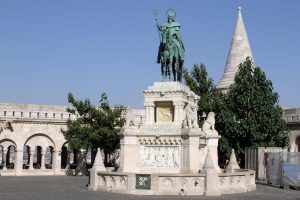 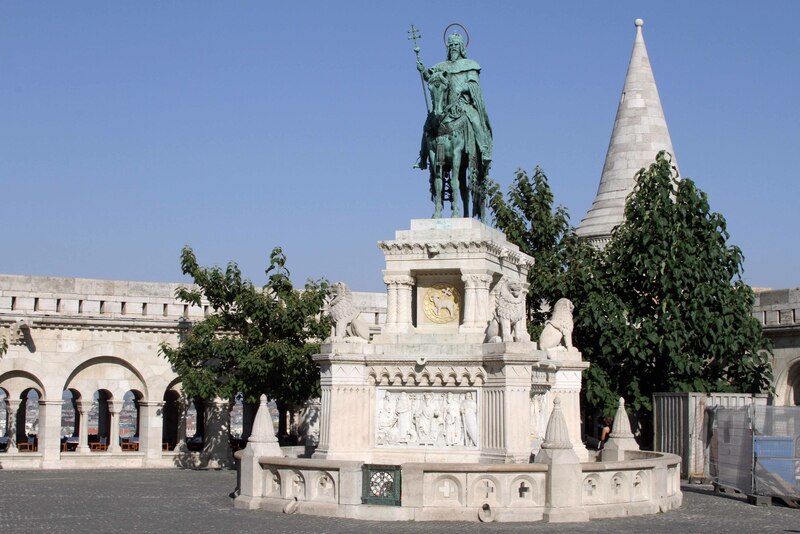 Bronze statue of Saint Stephen I of Hungary, located between Fisherman’s Bastion and Matthias Church. 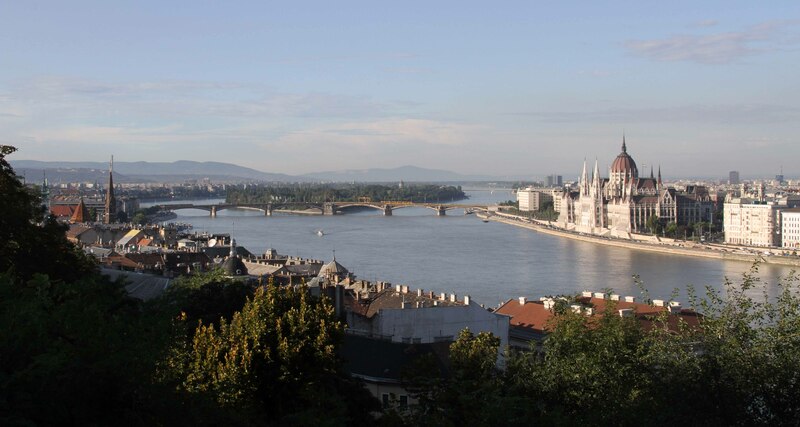 The Danube River with the Hungarian Parliament Building in view (on the Pest side). Another view of Fisherman’s Bastion. 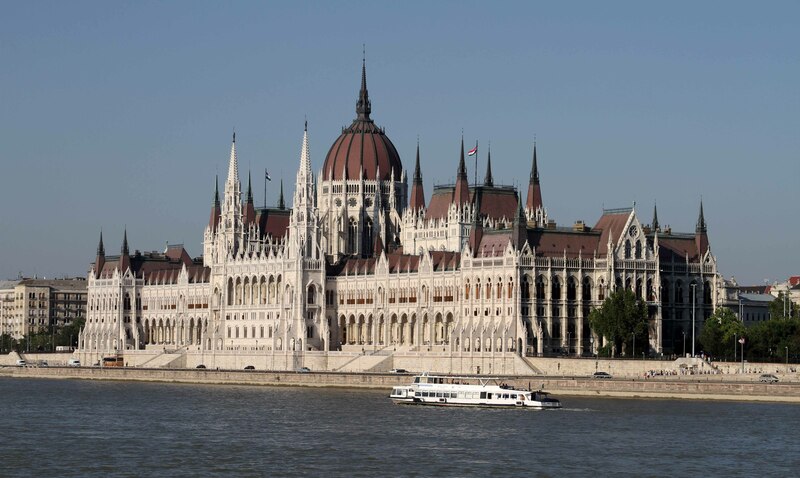 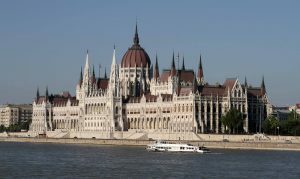 Closeup of the Hungarian Parliament Building. 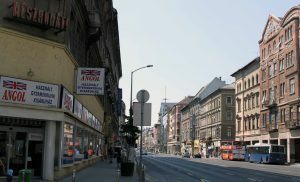 Derelict building on Ybl Miklós tér street. 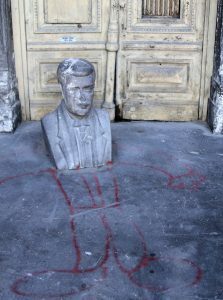 Bust left in front of a doorway at the derelict building. 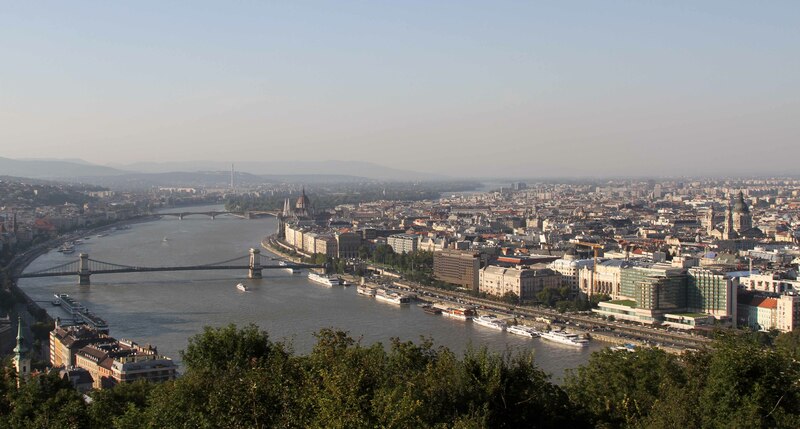 The Blue Danube and the Chain Bridge, seen from the Gellért Hill citadel. 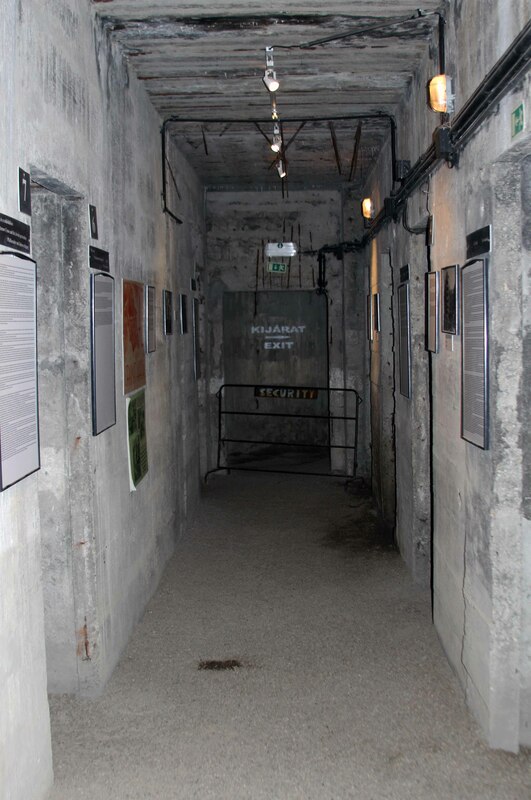 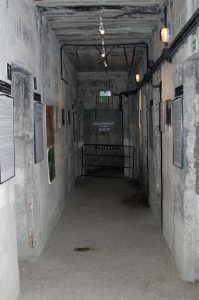 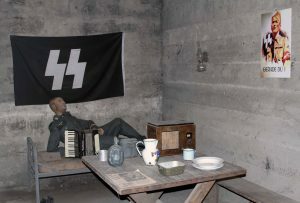 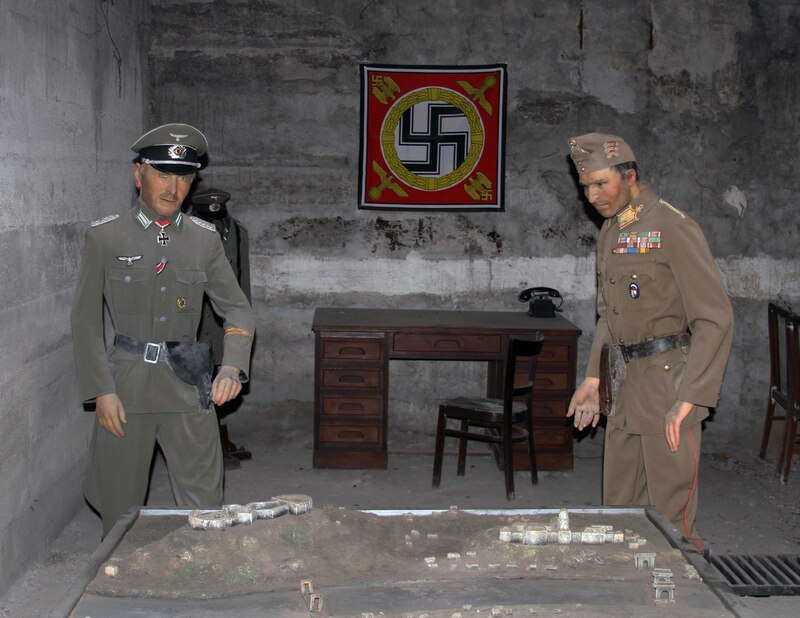 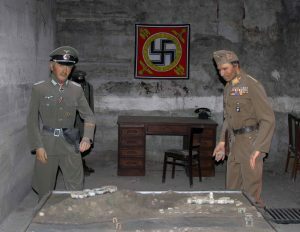 Inside the bunker at the citadel, which was used by the Nazis during their occupation of Budapest. 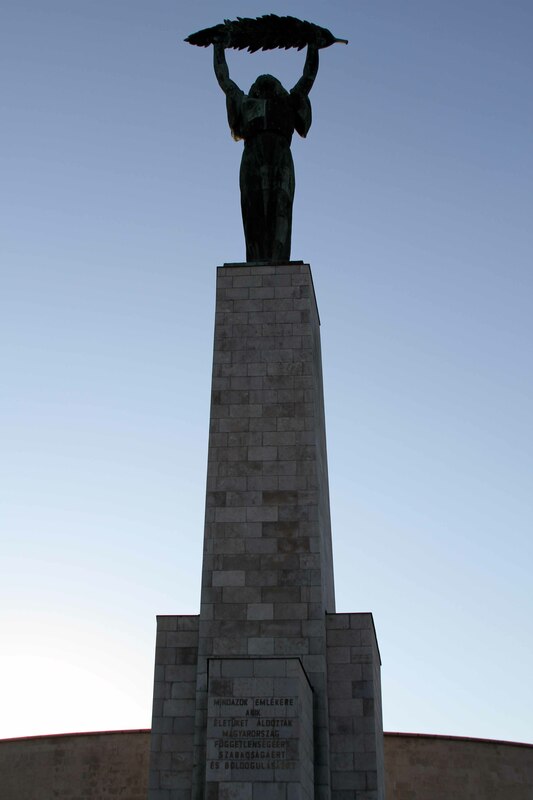 The Liberty Statue at the citadel in Gellért Hill. 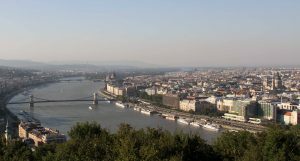 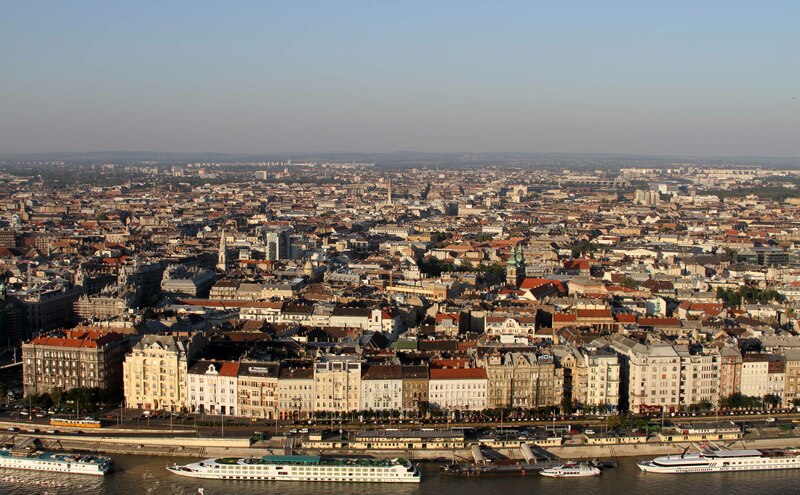 View of Budapest (the Pest side) from the citadel (which is on the Buda side of the city). 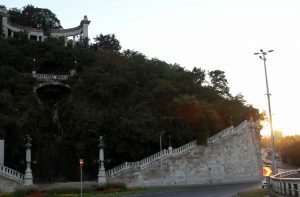 The Szent Gellért Monument on the top left with the sun setting on the right. 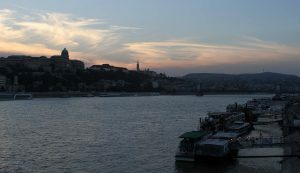 The Danube with Buda Castle on the left. 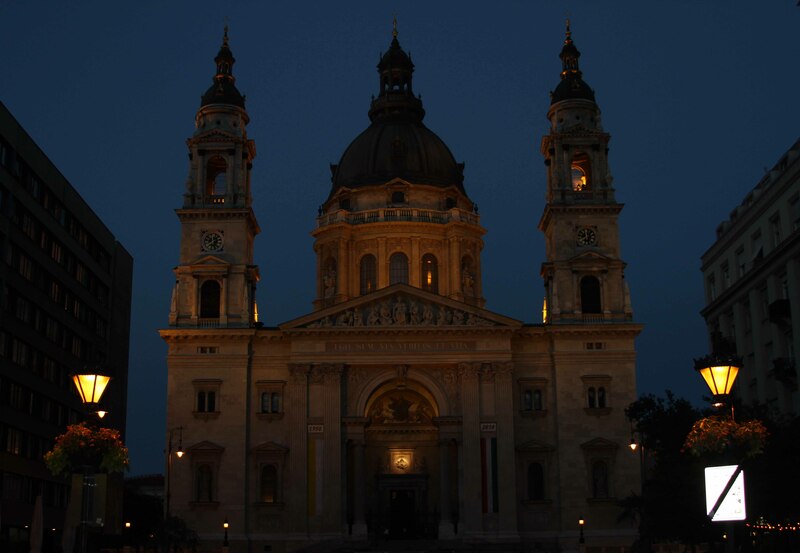 St. Stephen’s Basilica at twilight. 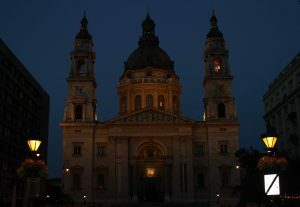 St. Stephen’s Basilica at night. 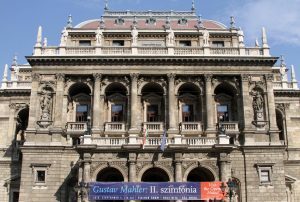 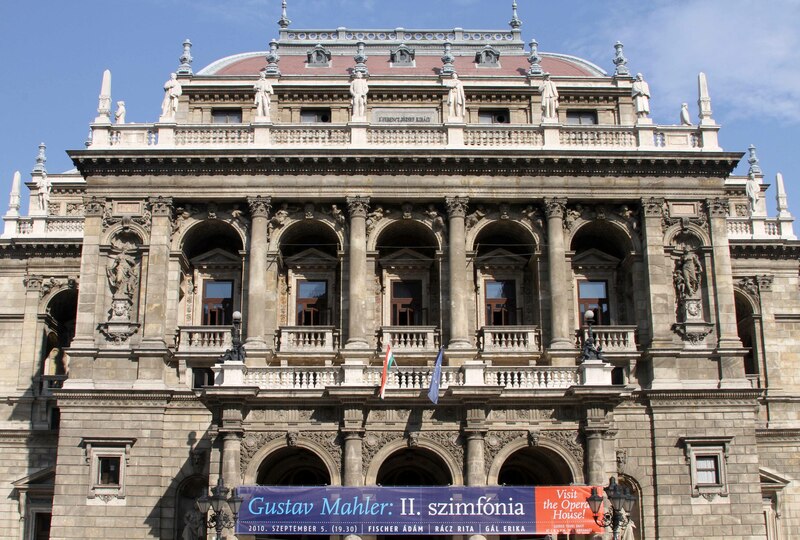 The Hungarian State Opera House, which opened in 1884 AD. 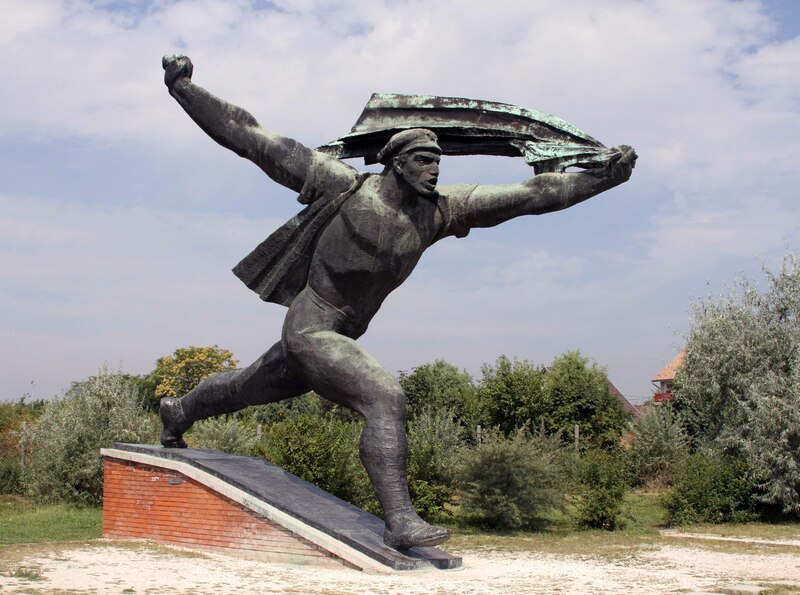 Red Army soldier statue found in Memento Park, an open-air museum that contains statues and plaques from the Soviet Occupation (1945-1991 AD). 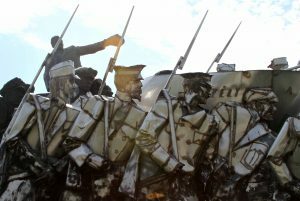 The Republic of Councils Monument, which is based on a 1919 revolutionary poster. 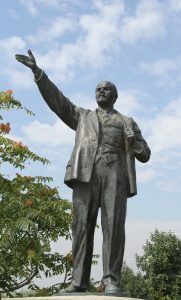 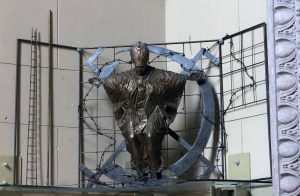 Statue from the Workers Movement Memorial. 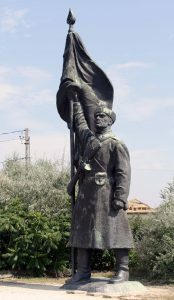 Bela Kun Memorial at Memento Park. 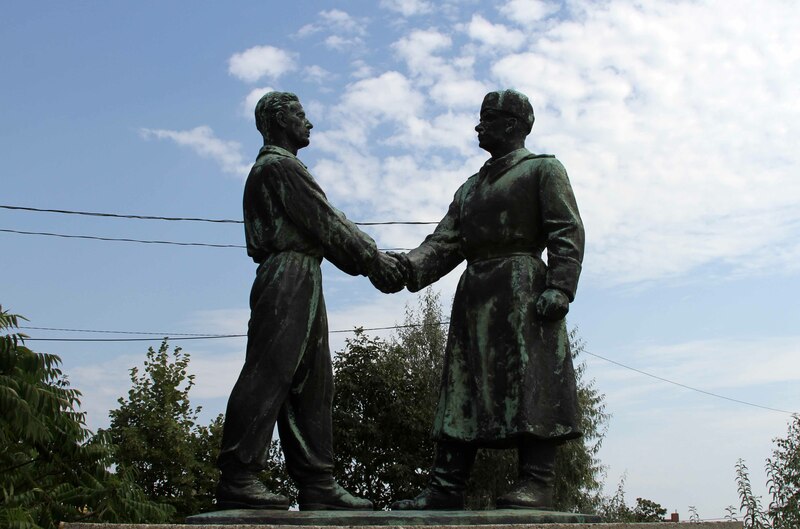 Hand-shake at Hungarian-Soviet Friendship Memorial. 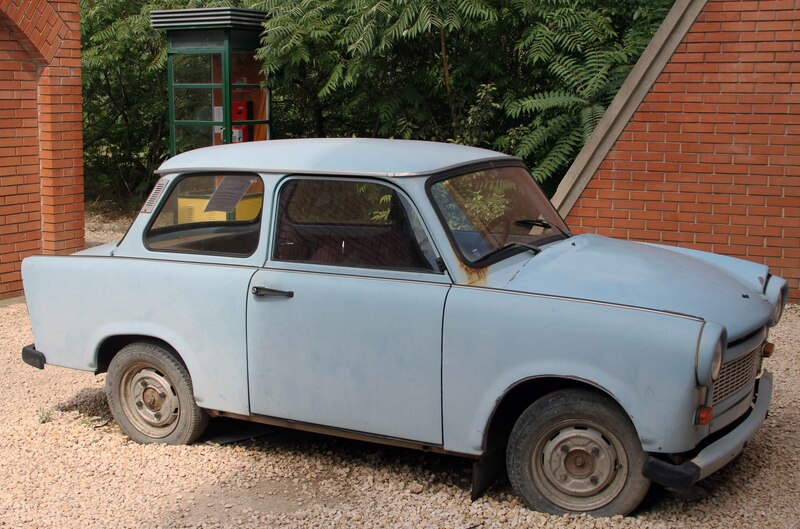 A Trabant car in Memento Park – this awful car is a great example of communist ingenuity. 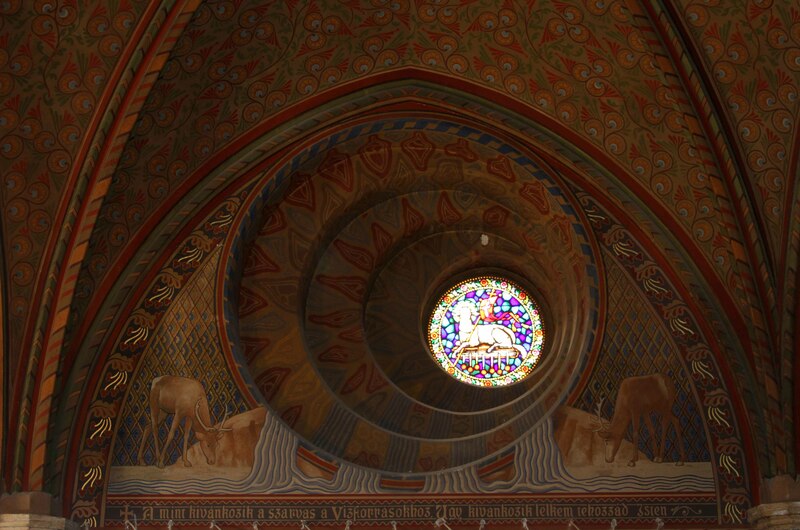 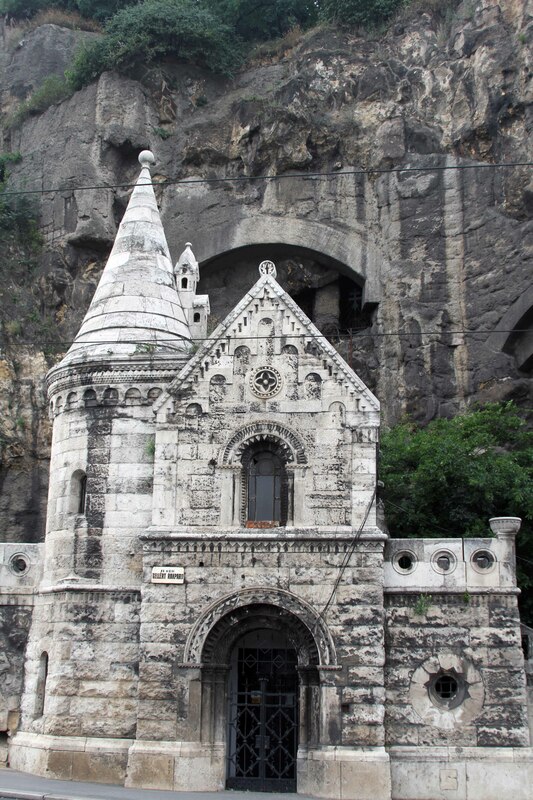 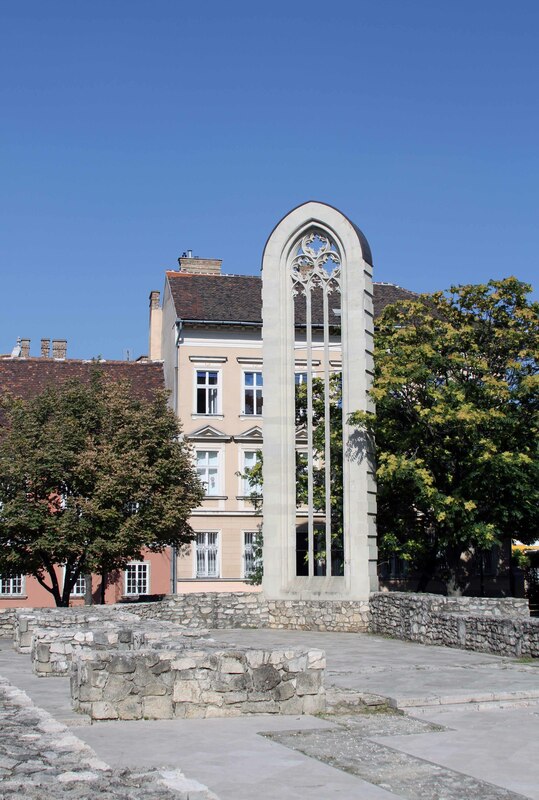 The Gellért Hill Cave Chapel (located right next to the Gellért Thermal Baths. 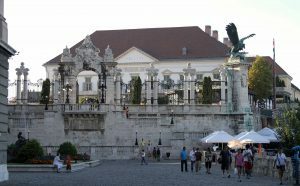 The White Gate at Buda Castle. 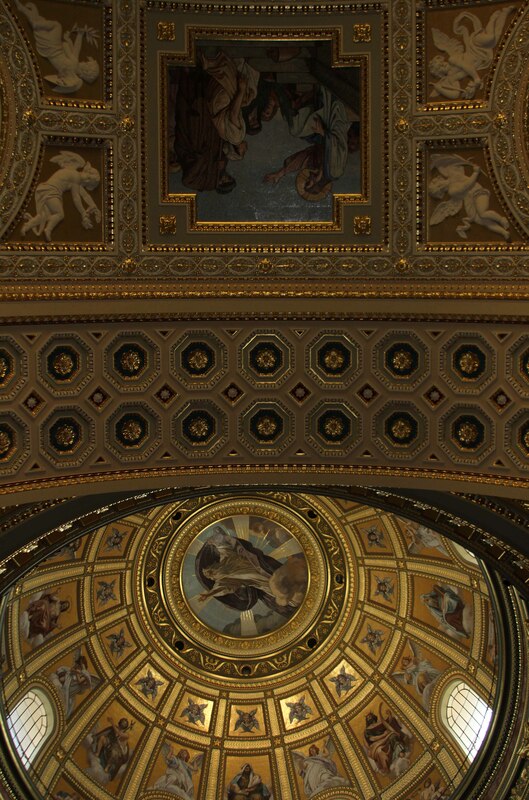 Painting inside the Hungarian National Gallery. 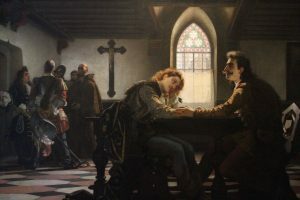 Another painting inside the Hungarian National Gallery. 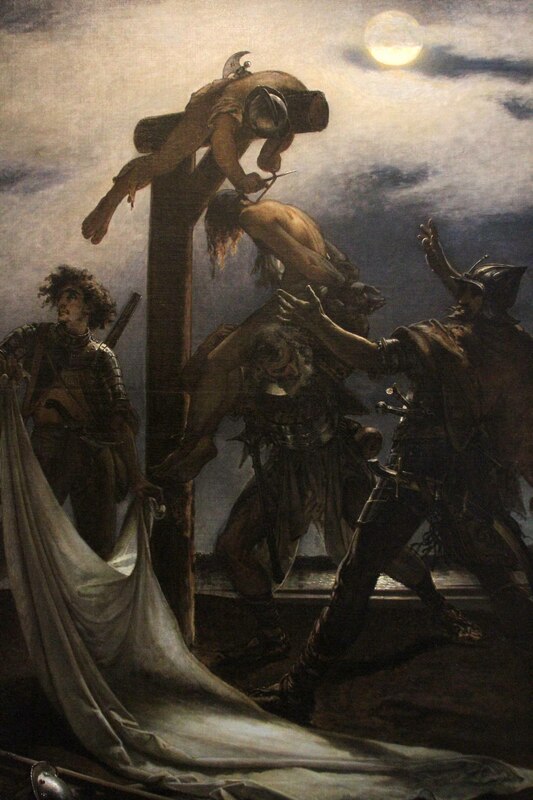 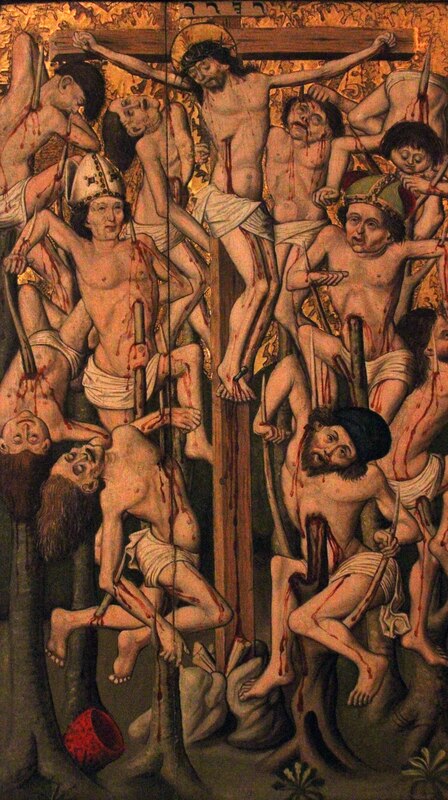 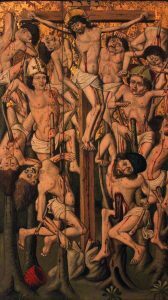 Detail of the Crucifixion scene on the ‘St. Mary Magdalen altarpiece’ (1480-90 AD). 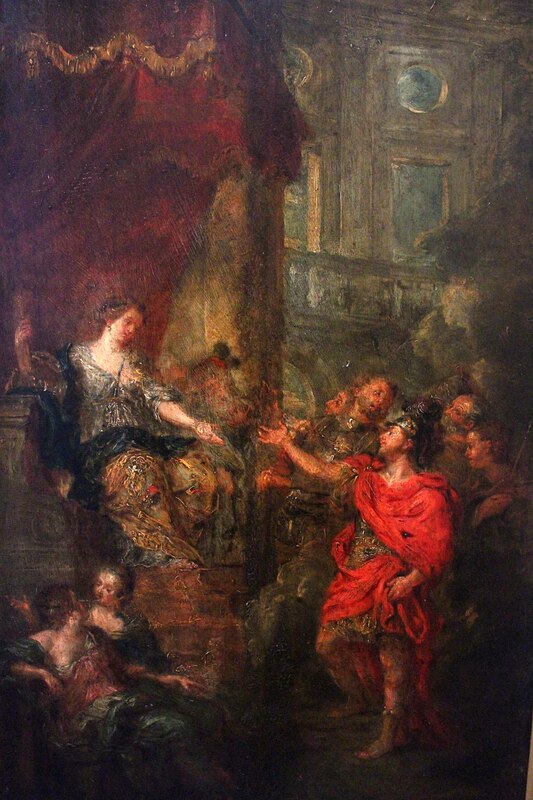 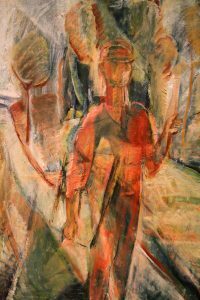 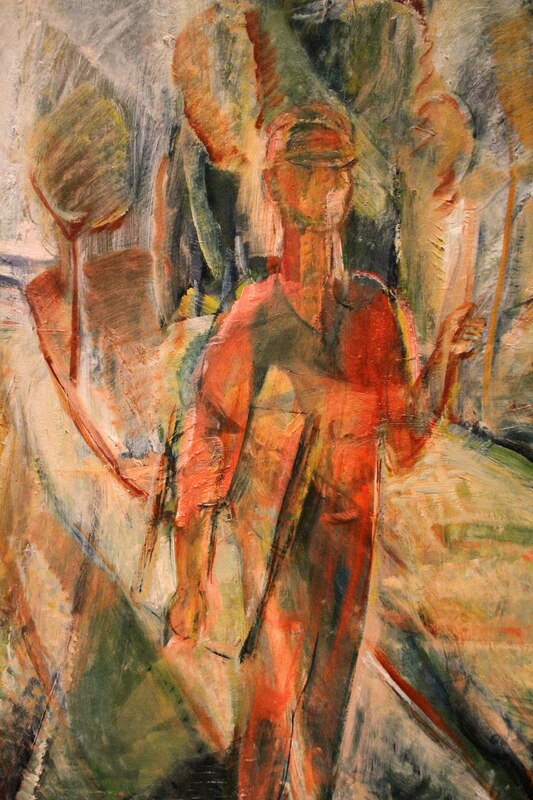 Yet another painting found inside the Hungarian National Gallery. ‘Faun and Nymph’ by Paul von Szinyei-Merse (1868 AD). 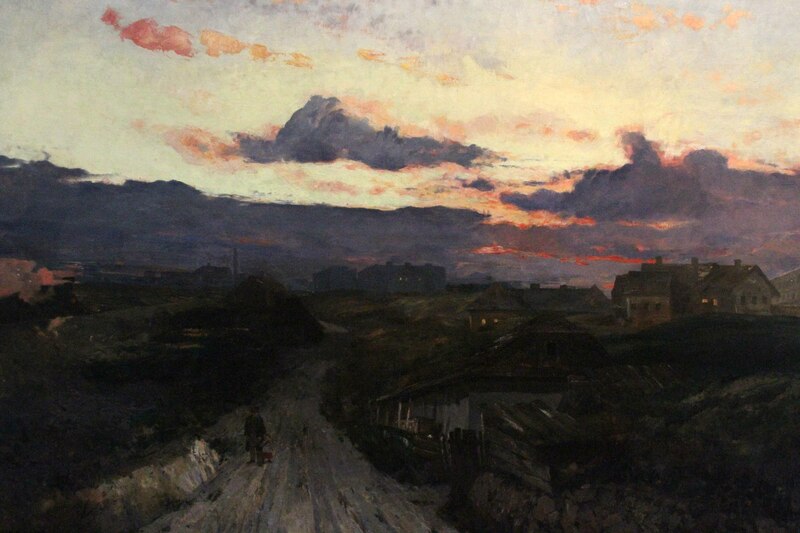 Painting of a village scene at sunset. 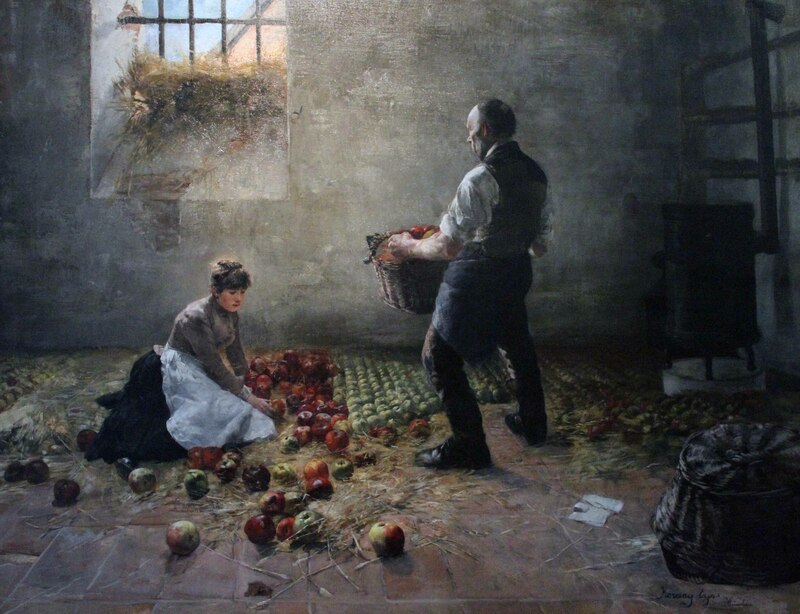 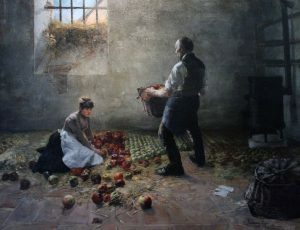 ‘Gathering Apples’ by Lajos Karcsay (1885 AD). 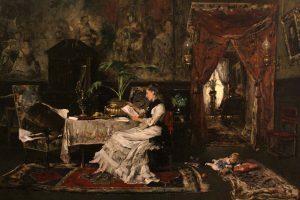 ‘Parisian Interieur’ by Mihaly Munkacsy (1877 AD). 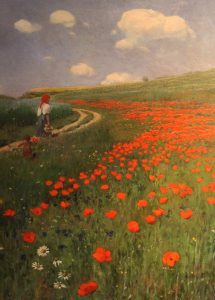 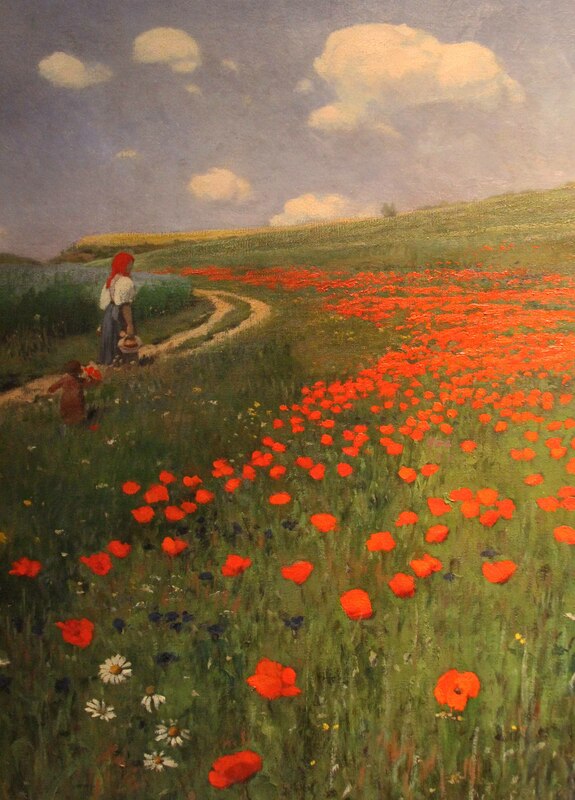 ‘Summer Landscape with Poppy Field’ by Paul von Szinyei-Merse (1902 AD). 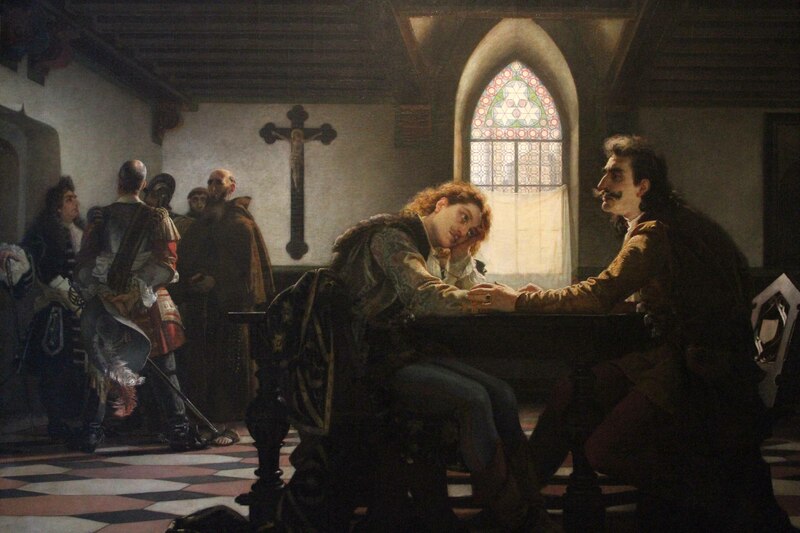 Another interesting painting inside the Hungarian National Gallery. 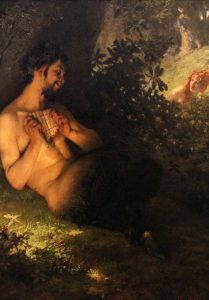 ‘Bathing Woman’ by Károly Lotz. 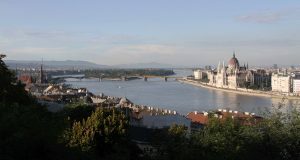 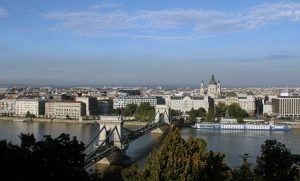 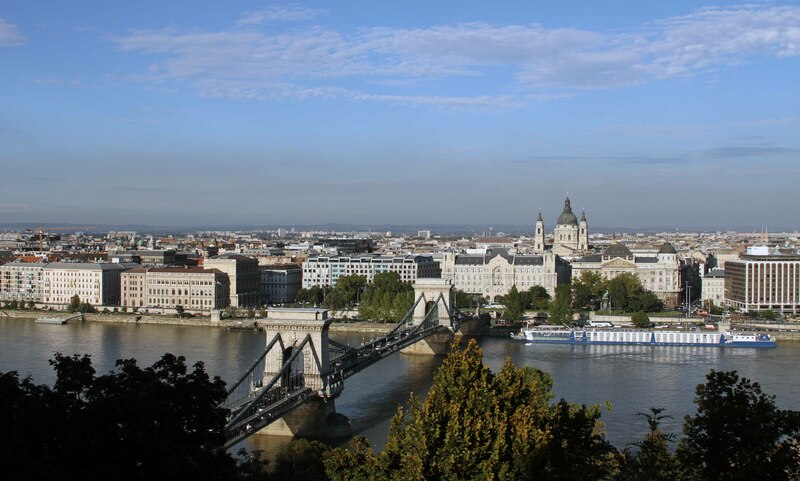 View of the Danube River with Margaret Island and the Hungarian Parliament Building. 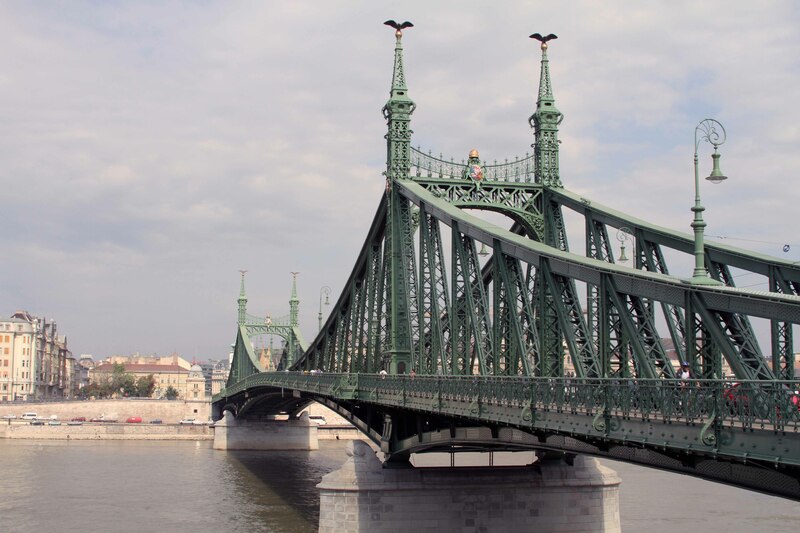 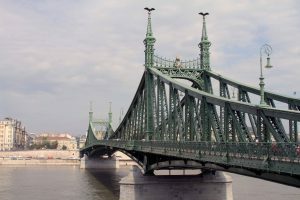 The Chain Bridge over the Danube River in Budapest.